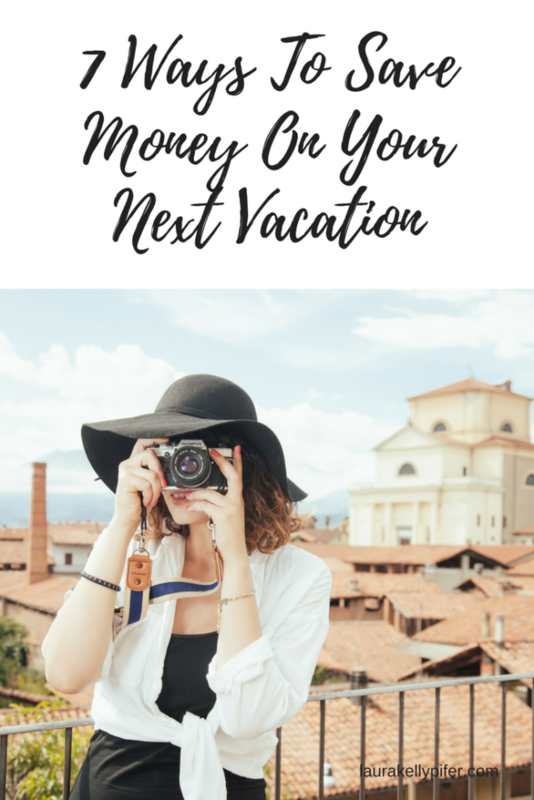 7 Ways To Save Money On Your Next Vacation - Tips and tools that add value to your world. To give you balance and to make you feel good. You can use these in life, business or both. For my family, vacation for many years, was just a return trip home to North Carolina for a week. As my girls got older, they wanted to experience new places and I wanted to give that to them. If you’re like me, you’re looking to save money whenever and wherever you can. Today, I want to share 7 ways to save on your next vacation. 1. AirBNB – My preferred way to travel is to stay in short-term rental vacation homes such as Airbnb (this will give you a $20 Airbnb coupon code for your next stay). We’ve used this many times and the Airbnb vacation home rates are usually comparable or cheaper than a hotel, plus you usually have more room and often there is a kitchen. It’s also nice because some are pet friendly and if you have several people going on vacation with you, you can split a house for much less than it would be for everyone to get a hotel room. In addition to this, you can also make money by renting out your home if you wanted to. Get rewarded for your work. I’ve been fortunate enough that I’ve had several trips paid for simply by qualifying for them with the direct sales company that I work with. Some of these trips, we’ve taken the kids on and some have been couples only. We’ve been to all over and seen some of the most beautiful sights.. We’ve also been able to visit some great cities when attending our annual conferences like Nashville, LA and Las Vegas. Disclaimer: This does take work and is based off your efforts. Check your credit cards. There are tons of credit cards out there that allow you to earn points or miles for travel or cash back. We use our credit cards for bill pay, for everyday expenses and anything else that can be charged. It’s amazing how many points or miles you can rack up. Just be sure to pay them off monthly (I do weekly) so that you do not incur any interest fees. Travel off season. Many places will offer a substantial reduction in cost when you’re not vacationing during peak season. Do your research to see when that is and then compare the cost to peak. You’ll be surprised at the savings this can bring. Use cash back websites like Ebates . I must admit that I love this website. I use it for everyday online purchases. We’ve ordered tires, contacts, stuff from Amazon and earn cash back on a quarterly basis just for starting our shopping on their websites. Plus, when you sign up through my website, you’ll get a $10 credit to get you started. Plan in advance. Last minute plans can be costly, especially if looking for airfare. Fare watcher websites can often keep an eye on flights for you and email you as the prices change. Consider a package deal. Book your flight, hotel and car in the same purchase. Often, you’ll see a savings by going this route. Traveling can be fun. Don’t let the fear of how much it costs hold you back from living the life you dream about. If you’d like to save this post for later, feel free to pin it to Pinterest. See here for a full Disclosure. Learn to silence those negative thoughts, to take action daily to reach your goals or be a better version of YOURSELF! Grab my FREE Journal Prompt Workbook NOW. My gift to you. 5 Money Making Activities That You Can Do Quickly! Can You Really Be Happy In Life?